Project milestones are used in project management to mark the important dates on your projects' timelines. 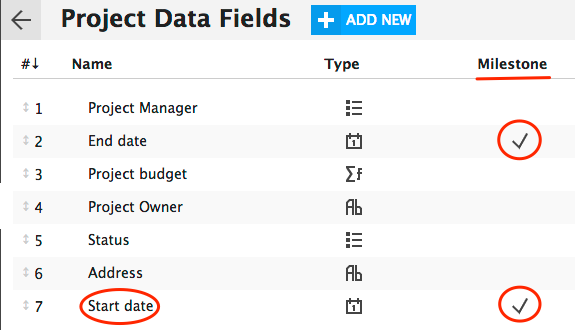 You can set milestones for your projects by adding a new Date type Data Field with a date value. Milestone feature is currently available with projects only. There's no limit regarding how much milestones you can add. That will list all projects that you currently have in the system. The name will be displayed in the Gantt chart area f.e 'Start date'. Make sure to tick 'Show as milestone'. 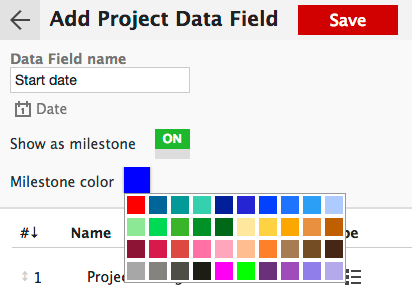 That's the colour the milestone will be displayed in the Gantt chart area. 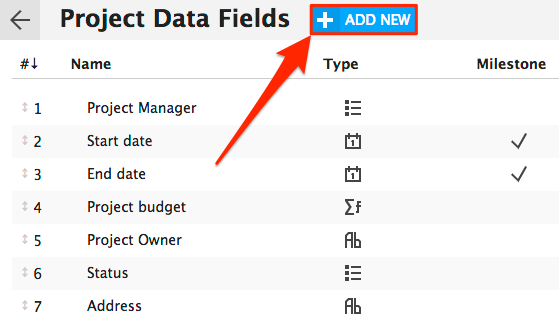 You'll see added Date type milestone field in the Project Data Fields list. You can repeat the steps to add 'End date' or other milestones. If you group your resources by Projects you'll see all projects. To compare different projects' milestones simply collapse the resource column to make all projects' milestones visible. Did not find the answer to your question regarding adding milestones to projects?